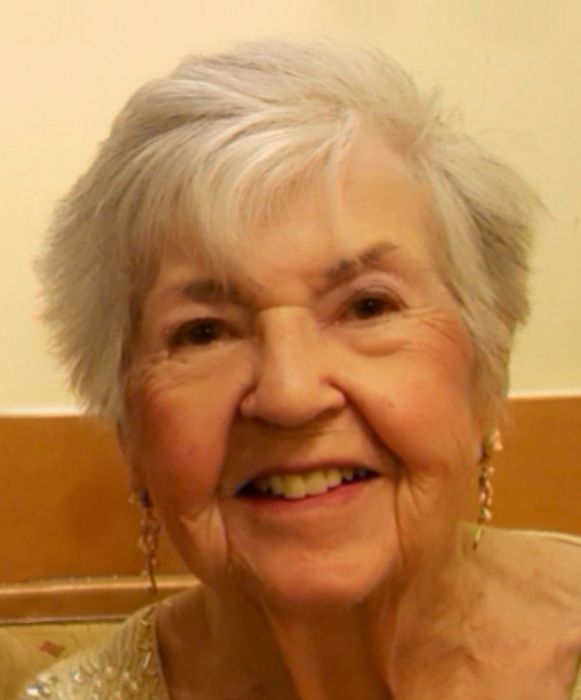 Claire Eleanor Marsh, a nearly lifelong resident of West Springfield, passed peacefully on Saturday, March 30. Raised in Chicopee Falls, the daughter of Dr. Armand O. and Esther Metivier, she attended Chicopee High School. She and her husband, John Francis Marsh, Jr. were married in 1946, for 55 years before he passed in 2001. Claire was at the desk at the West Springfield Federal Credit Union for 20 years and enjoyed knowing all the town employees by name and number. She was an avid golfer and she and Fran spent many vacations with dear friends around the golf course. After Claire retired, she and her husband enjoyed their winters in Florida and their summers at their Mashpee home, hosting many weekends with friends and family. Claire was a self-taught artist and loved to draw faces in charcoal and water color. She had a business called Razzle Dazzle, painting tee shirts and sweatshirts for friends and family. Claire could be-dazzle. She was always a woman on-the-go, and thrived in her later years at the Arbors Assisted Living, at Westfield. Claire took art classes and organized movie nights for the residents. With her sister Elaine, who lived across the hall from her for three years and with whom she shared meals, the two sisters frequently broke out in harmonized song while waiting for dinner to be served. For the last year and a half, Claire lived at Beaumont Nursing Home in Northbridge, where she enjoyed listening to music and frequent visits from her family. Claire was predeceased by her brother, Richard Metivier, and her sister, Elaine Manchester. She leaves behind her daughter and son -in-law, Beverly and Bob Breveglieri of Ormond Beach, FL, her daughter Nancy Marsh of Agawam, and her daughter and son-in-law Kathy and Dan Crowley of Northbridge; two grandchildren, Kristen Aguiar and her husband Tony, of Grafton, MA, and Daniel Crowley of New York City. A funeral home service will be Monday 11:30AM from the Toomey-O’Brien Funeral Home 1043 Westfield St. West Springfield with burial to follow at the Mass. Veteran’s Memorial Cemetery in Agawam. Calling hours are Sunday from 1-3PM. In lieu of flowers, the family would be grateful for any donation made to the Alzheimer's Association in honor of Claire E Marsh.